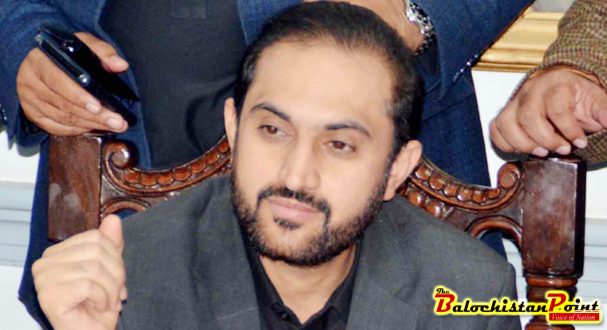 QUETTA: Chief Minister Balochistan Mir Abdul Quddus Bizenjo has said that all available resources would be utilized to remove poverty from the province. He said this while talking to a delegation of United Nations International Children’s Emergency Fund (UNICEF) lead by Regional Director South Asia Ms. Jean Gough called on him here on Thursday. Chief Secretary Balochistan Aurangzeb Haque, Additional Chief Secretary P&D, Secretary Health, Secretary Financial and other official were present on the occasion. Chief Minister said that incumbent government was making all-out efforts to eradicate the menace of polio from the province and for this purpose government is cooperating with all departments including International organizations, adding that law and order situation has improved in comparison to the past and living standard of Balochi people has also been improved now. CM appreciated the role of polio teams and their determinations for eradication of this menace. He also urged people to cooperate with polio workers to administer anti-polio drops in order to save their children from polio disease. UNICEF Region Director south Asia Ms, Jean Gough appreciated the government’s role to eradicate the menace of polio from the province.